“B. F. Skinner’s notorious theory of behavior modification was denounced by critics 50 years ago as a fascist, manipulative vehicle for government control. But Skinner’s ideas are making an unlikely comeback today, powered by smartphone apps that are transforming us into thinner, richer, all-around-better versions of ourselves. The only thing we have to give up? Free will.” (The Atlantic). Steven Pinker on the false fronts in the language wars: ‘Nature or nurture. Love it or leave it. If it doesn’t fit, you must acquit.If you didn’t already know that euphonious dichotomies are usually phony dichotomies, you need only check out the latest round in the supposed clash between “prescriptivist” and “descriptivist” theories of language. This pseudo-controversy, a staple of literary magazines for decades, was ginned up again this month by The New Yorker, which has something of a history with the bogus battle. 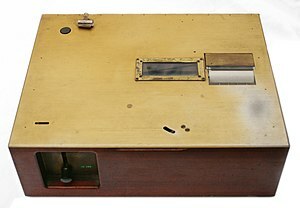 Fifty years ago, the literary critic Dwight Macdonald lambasted the Third Edition of Webster’s New International Dictionary for aiming to be “a recording instrument rather than … an authority” and insufficiently censuring such usages as “deprecate” for depreciate, “bored” for disinterested, and “imply” for infer. And in a recent issue, Joan Acocella, the magazine’s dance critic, fired a volley of grapeshot at the Fifth Edition of the American Heritage Dictionary and at a new history of the controversy by the journalist Henry Hitchings, The Language Wars. 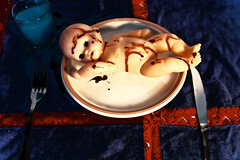 Acocella’s points were then reiterated this week in a post by Ryan Bloom on the magazine’s Page-Turner blog. The linguistic blogosphere, for its part, has been incredulous that The New Yorker published these “deeply confused” pieces. As Language Log put it, “Either the topic was not felt to be important enough to merit elementary editorial supervision, or there is no one at the magazine with any competence in the area involved.” ‘ (Slate Magazine). “We all know the adage that dogs are man’s best friend. And we’ve all heard heartwarming stories about dogs who save their owners—waking them during a fire or summoning help after an accident. Anyone who has ever loved a dog knows the amazing, almost inexpressible warmth of a dog’s companionship and devotion. But it just might be that dogs have done much, much more than that for humankind. They may have saved not only individuals but also our whole species, by “domesticating” us while we domesticated them. 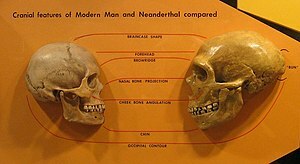 One of the classic conundrums in paleoanthropology is why Neandertals went extinct while modern humans survived in the same habitat at the same time. (The phrase “modern humans,” in this context, refers to humans who were anatomically—if not behaviorally—indistinguishable from ourselves.) The two species overlapped in Europe and the Middle East between 45,000 and 35,000 years ago; at the end of that period, Neandertals were in steep decline and modern humans were thriving. What happened? Neandertals better adapted to their environment than the newcomers? communicate with dogs.” (American Scientist).